Its light. safety.reliable and made of aluminum alloy. 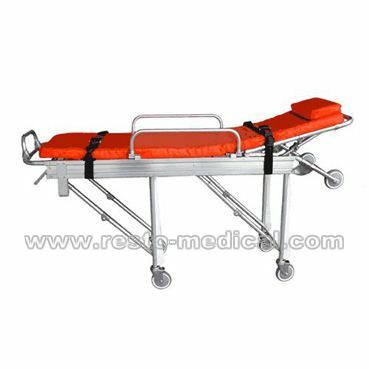 Though the left-right controlling handle, one person can up and down the ambulance easily, insuring the wounded and sick feel safety and comfortable. It is the medical necessities for all arms, hospitals and first-aid centers.